The world is quickly moving towards a new dimension in cinematic entertainment. A few decades ago, audiences were dazzled when stereo was unfolded into multichannel surround, and right at this very point in audio history, we are in the process of adapting to the next significant development in how audio can be experienced. 3D audio formats such as Dolby Atmos is gradually becoming the new standard. And as is so often the case, Hollywood and therefore the cinemas are the spearheads of this revolution. Object-based audio is like a dream come true for filmmakers, who are now able to create stunning effects that surround the audience completely from all sides – and from above. Obviously, this calls for mixing stages that can handle a lot of audio channels, as well as being able to quickly move between various production workflows and monitoring formats, including the ‘old’ surround and stereo formats to make sure productions fold down gracefully to typical domestic playback systems. 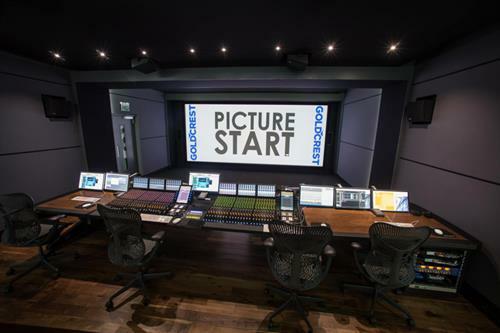 Goldcrest Post Production in London is one of the world’s leading post production houses for film, and with two dedicated Dolby Atmos mixing theaters, Goldcrest often work on major feature film productions such as ‘Jason Bourne’, featuring Matt Damon, that is out in cinemas as we speak. Other significant movies to have received the royal audio treatment at Goldcrest Post in the past include titles such as Me Before You, American Honey, Special Correspondents, Worlds End and Pirates: An Adventure with Scientists. In total, Goldcrest Production has 3 mixing theaters. 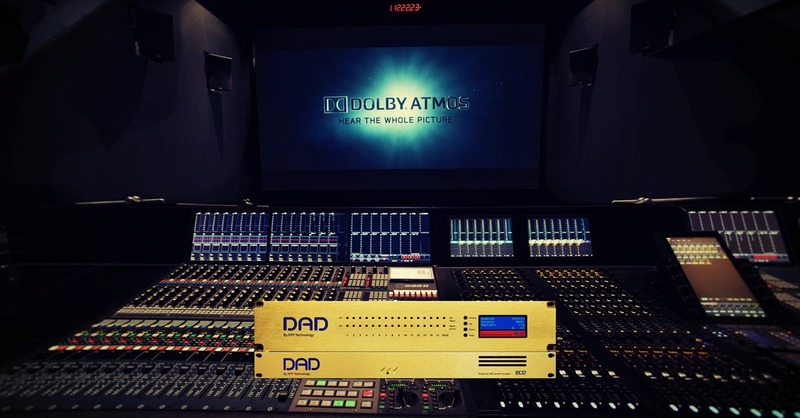 Theater 1 is fully equipped for mixing in Dolby Atmos/7.1/5.1, Theatre 2 for Dolby theatrical 9.1/7.1/5.1 and Dolby Atmos Home Theatrical and Theatre 3 Dolby 7.1. 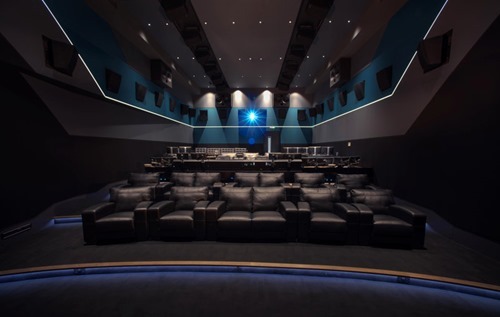 At the heart of these theaters are Avid S6 hands-on controllers, but behind the stage, a DAD AX32 and 4 DX32 units handle the complex audio routing, playing the role of the mastermind behind Goldcrest’s golden workflows. An important aspect is that the entire facility is connected via the Dante IP Audio protocol, which makes the DADman software a paramount and central control hub where countless audio channels can be routed and mapped to fit dedicated workflows, move projects between theaters with different speaker configurations, customize for different monitoring formats, etc. We caught Goldcrest Post Production’s Head of Engineering, Simon Ray, for a chat about the facility, the technical setup as well as production workflows. First off, we were curious to learn more about how Goldcrest integrated the DAD units – and which benefits this setup provides in their daily work of making film stars on the screen sound even better than they look. “Two of our three mixing theaters use DAD interfaces,” says Simon Ray. “In theatre 2, which is our dual operator 48-fader Avid S6 based room, the AX32 is the centerpiece of the entire monitoring system. We use it to bring all of the individual playback systems together, route these stems to the recorder and then route the mixed audio to the monitoring system. It also allows us to listen to alternative sources such as iPods, TV or BluRay from the S6 main panel. In both of the theaters we route MADI, AES and Dante from the DADMan software which gives us much more flexibility when doing QC, making headphone mixes, etc. To give an idea of the routing complexity involved, each of the main theaters have 5 dedicated Pro Tools rigs that need to be able to co-exist within the same eco system. Dante and DAD units are key factors in that regard. We were also curious to know if there are any workflows relating directly to Dolby Atmos mixing that the AX32 and DX32 units help realizing. There is no doubt that IP Audio is the future of digital audio distribution. Goldcrest Post Production has embraced Audinate’s Dante protocol, and we asked Simon Ray how they benefit from this transition. “We use Dante to connect to our BSS based monitoring system. This allows us to have up to 64 outputs from the AX32 feeding the BSS all while keeping the signal digital and along a single Cat6 cable. There is obviously a big future for any IP based system. Our infrastructure is more and more based on Ethernet-compatible products so anything that can work over these protocols represent a cost and time advantage on install. Plus, there is also an element of built in future proofing. Furthermore, nowadays clients often demand more flexibility and parallel working so being able to route audio streams between theaters – and even buildings – means that any space on the network could be turned over to a task based on a specific client request. AD/DA conversion is a huge part of DAD’s legacy and basic DNA. The AX32 units at Goldcrest are fitted with D/A cards mainly used to feed nearfield monitors. 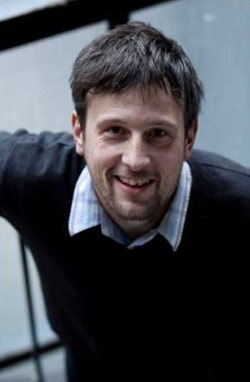 We asked Simon Ray about the most significant trends in post production today as he sees it. “Flexibility, efficiency and reliability. Clients are more demanding and want more done in less time. The technology is there to achieve this so the challenge is to configure and install accordingly to cover any request that may come our way. The DAD interfaces are definitely a big part of this. Not surprisingly, at the end of the day it all boils down to the fact that apart from going to great length to create stellar-sounding productions, the customers are the ones paying the bills. So, being able to switch quickly and effortlessly between different workflows to meet any customer demands on time and on budget is key. We were very pleased to learn that our AX32 and DX32 units play an important part in achieving this goal at Goldcrest Post Production.